I play, you play…so what’s the problem? A conversation/debate/argument came up in a thread on Guild Wars 2 Guru recently about how people play video games, and MMOs in particular, and it’s gotten me thinking. Basically, most gamers can be split into three types – those who play a game simply to play, and enjoy the journey above all else, those who play because they want the rewards they get at the end, and those who are a mix of the two – they like the journey and the goodies at the end. The argument that was being made was that playing for rewards is bad, and that people should be playing simply to play. While I myself am a “journey > rewards” gamer, I’m not entirely sure I agree. 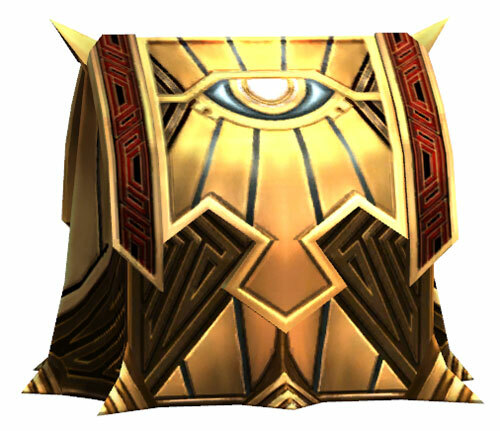 You all know you want to know what's in here. When it comes down to it, does it really matter how someone likes to play a game? I don’t think it does. 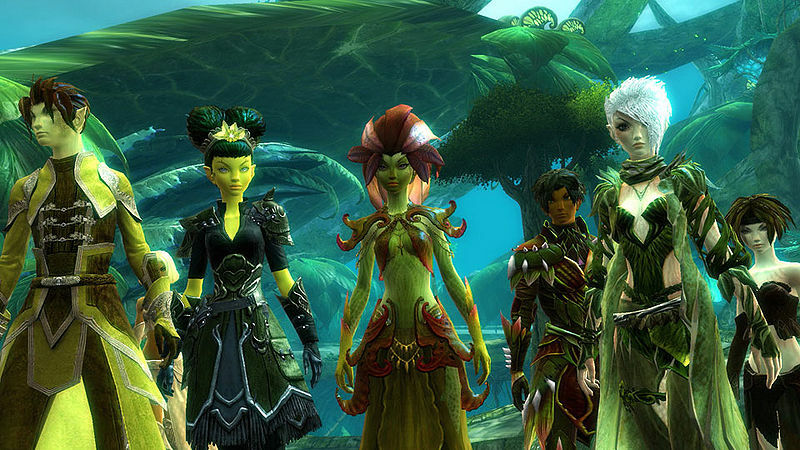 Guild Wars – and Guild Wars 2 – both will cater to both sides of the spectrum. If you like to play through the game and find the gameplay and story the biggest reward? Go for it. If you like to collect shiny things? Hey, you can do that too. And if you like both…perfect! Sure, it’s not going to be like a traditional MMO. You won’t have to grind through dungeons a hundred times over to get a chance at that Shiny Staff of Awesome, with +100 Against Quaggan*. Completing events gains you Karma, which can be traded to NPCs for items. If you participate? You get something! No more of that “One good item and everyone rolls for it” nonsense. Don’t forget the fact that what you get at the end of a dungeon or event is not necessarily, stat-wise, better than what you’ll have already picked up by other means. Grinding dungeons doesn’t mean you’ll be better off or equipped than someone who likes to explore and take everything in. Which is how it should be. No one should be forced into a playstyle that they don’t like, because it’s the only way to get anywhere in the game. Everyone should be free to play in a way that they enjoy, so long as it doesn’t impede on anyone else’s fun in the game. And these differences in play should only matter if the game shifts to only favor one way of play. People can make the argument that GW1 has shifted to a “grind for rewards!” playstyle, but it hasn’t, really. It’s simply an aging game, and many people turn to speedclears and title hunting and the like as it’s something for them to do while they wait for Winds of Change to release. The game was not designed for that to be the only way to play; it’s simply that there’s a limited amount of content (a ton, to be fair, but it’s still finite) and there’s only so many times you can play through the same thing before you start to lose interest. There may reach a point where GW2 is on the better side of a decade old, and all of the content’s been done repeatedly, and it’s a long wait for new stuff. That may not happen. But they’re trying to make the game so that it will have a little something for everyone. You have your own personal story…and your own playstyle. And that’s okay. This weekend, ArenaNet is holding an open house (known as GW2 Fanday), where they’ve invited a few handfuls of lucky fans (I believe the number is 15 total, including the winners of the Ambassador contest) to visit their new offices and try out the game. Sadly, I was not one of the chosen few. I wish I was! That would have been amazing, in so many ways, if I was going to be flying out there for the weekend. Trying out GW2, meeting people I’ve been talking with on forums and twitter for months now…checking out the area that my boyfriend and I plan on moving to next year…yeah. NeoNugget, of GW2G, though, is one of the lucky ones, and has posted this thread on the GW2G forums, both listing out everyone that’s going (that’s been identified so far, anyway), twitter accounts so that people can keep up with the news (since they’re not under an NDA), and most awesomely, asking the rest of the community for questions for them to ask about. Me being me, I want to know about the sylvari redesign, and Mesmers. Because both are awesome. If there’s anything that you want to know – go ask on there! Just don’t waste any time, because everyone’s leaving on Thursday and will be there on Friday. And hey, maybe if they do another of these, I’ll get in 😉 A girl can dream, after all!